Elvis, chickens, books and diamonds; an eclectic mix that reflects the wide ranging enthusiasms of Deborah, Duchess of Devonshire. She was the youngest of the endlessly fascinating Mitford sisters and seems to have known almost everybody who was interesting in the twentieth century. She left the contents of her final home to her family, they have taken their pick and now the remainder is up for sale at Sotheby’s. Estimates start at £10 and rise to ten of thousands of pounds. Look in any provincial auction house and you will see bone china dinner services, chairs in need of reupholstering and stashes of jewellery on offer. This sale is no exception but oozes glamour in away that I have never found in Dorking. These antlers were used as coat rack. Pictures of dogs, silvered seashells, slabs of Blue John all jostle with signed first editions. If I could choose just one of these books it would ‘At Lady Molly’s’ by Anthony Powell (estimate £300). Hens are everywhere; wooden ones, China ones, painted ones and books about them. Large quantities of Elvis memorabilia is on offer, the Duchess was so enamoured of the King that she made two pilgrimages to Graceland. Anyone can wander in off Bond Street into Sotheby’s to view the elegant re-creation of interiors of the Old Vicarage at Edensor or indeed attend the auction. The glimpse into the private life of a woman who seemed to know everybody that was interesting is fascinating. 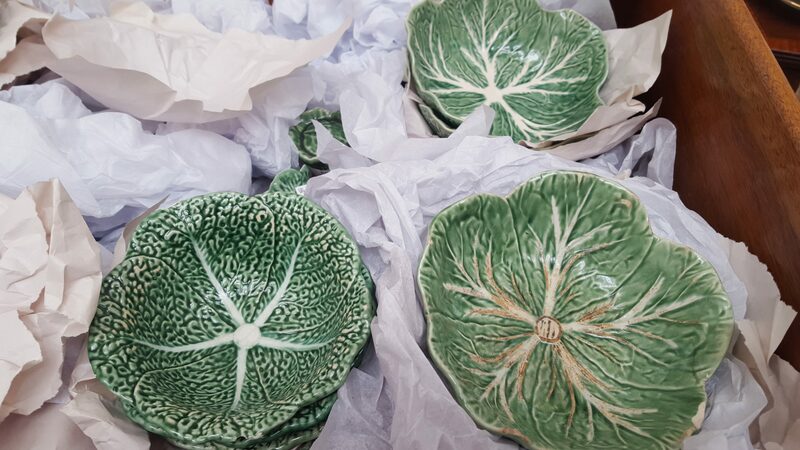 If I were to wave a bidding paddle it would be for lot 185, a collection of plates that look like cabbages.